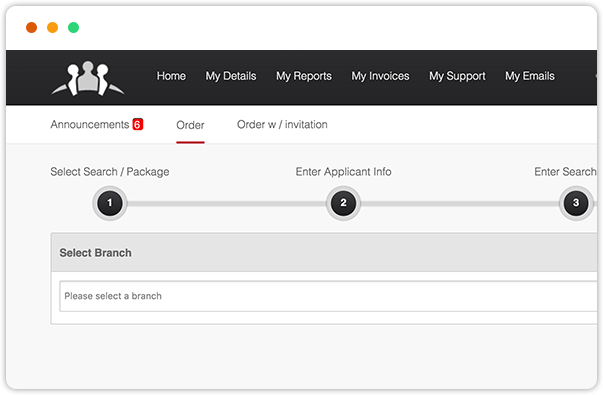 The Exact Background Checks screening system starts with an ultra modern user interface that reduces the amount of time and effort it takes to place orders. 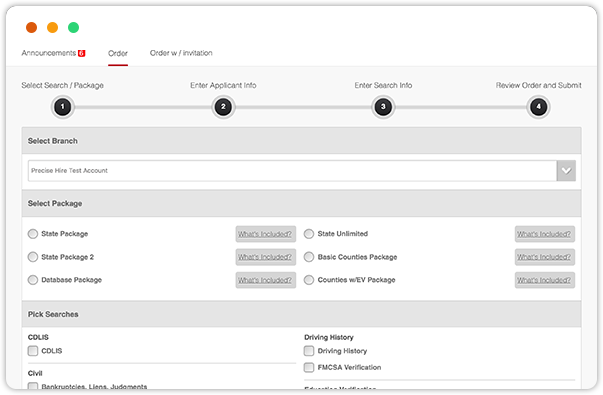 Request information manually, through invitation orders, packages, or individual products. 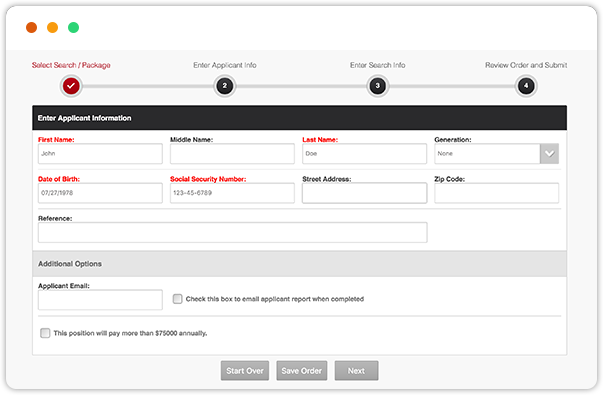 Exact Background Checks is meant to seamlessly mold to your company's unique needs. Each of your company's locations may have special needs, but you shouldn't waste your time tying all the accounting or ordering together. Records and pulls can be assigned to the one or more locations where the applicant will work. 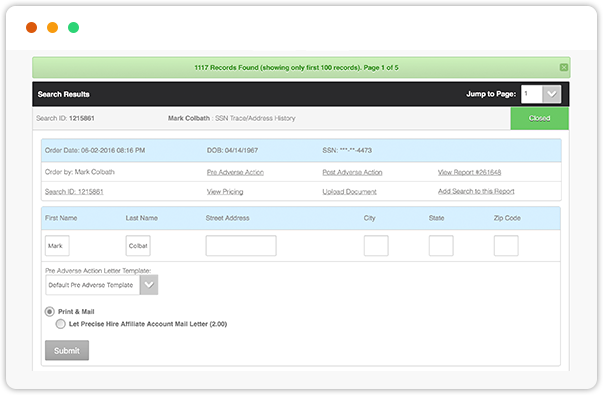 Records and invoices can be tabulate and managed at a branch level for fewer headaches and tighter record-keeping. 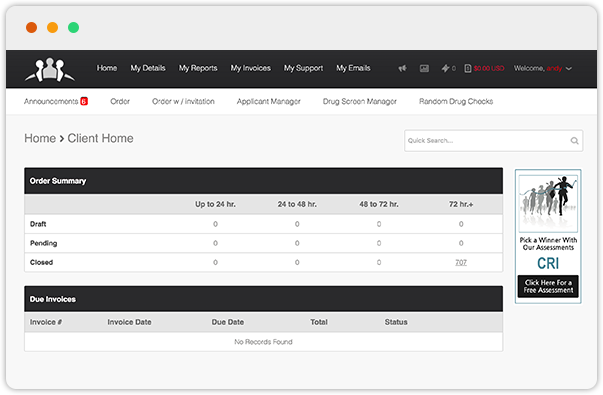 Invite team members to your Exact Background Checks account and assign different permission levels based on each person�s role in your organization. For example, you may want some members to see information for their respective branch or department. Lean on Exact Background Checks' 30 years of industry expertise. You conduct background checks to protect your company and its workforce -- we protect your company and proactively act to ensure you stay compliant. We provide guidance on the relevant federal laws and rules to follow, and our system ensures you stay in line.